Red-hot real estate in city centres is helping to drive prices outside major markets, according to a recent report – and that’s good news for brokers. "The ripple effect on the housing markets outside of Toronto and Vancouver is quite significant when you look at the Canadian housing market overall," Elton Ash , regional executive vice president, RE/MAX of Western Canada, said in a release. "As a result, when you remove Toronto and Vancouver from the equation, the national average house price still rose approximately 10 per cent in the last year." 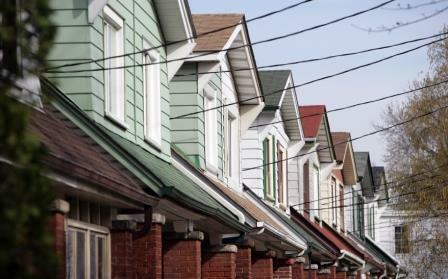 Regions outside Toronto and Vancouver are experiencing population growth as buyers are priced out of those major markets, according to RE/MAX’s Spring Market Trends Report. The population boom is helping to grow local economies and driving growth of restaurants, shops and services, according to the rea estate company. The report also contained good news for oil-dependent economies. And many workers who left their homes for the oil patch are now returning – which means brokers in areas such as Atlantic Canada will soon see an increase in potential clients. "Regions that for years have seen many of their young working population look to Alberta for employment opportunities have started to see that trend reverse," said Gurinder Sandhu , executive vice president, RE/MAX INTEGRA Ontario-Atlantic Canada Region. "In Atlantic Canada , for example, young people from outside the urban centres who would have moved west several years ago are now going to cities like Halifax , which is having a positive effect on those economies."